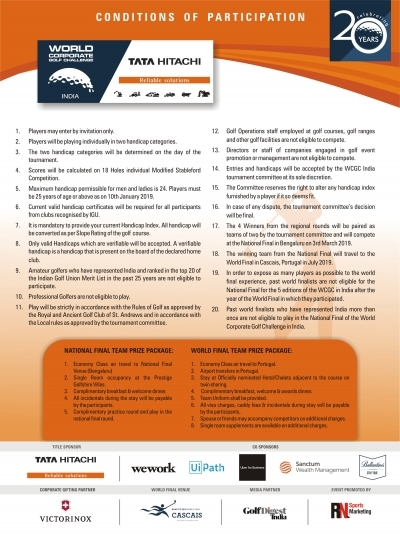 “World Corporate Golf Challenge- India” is the official qualifying tournament to select the Indian corporate team for the World Final. Qualifying rounds are held in Delhi, Hyderabad, Mumbai and Bengaluru. Corporate India made its WCGC debut in 1999 and 2018 marks its 20 years running. Indians have constantly excelled in the last decade, clinching the title in 2008 and 2015 besides recording multiple runner-up finishes (2010, 2011 and 2014). Rishi Narain Sports Marketing (RNSM) is the longest running, and most successful, licensee of the event. 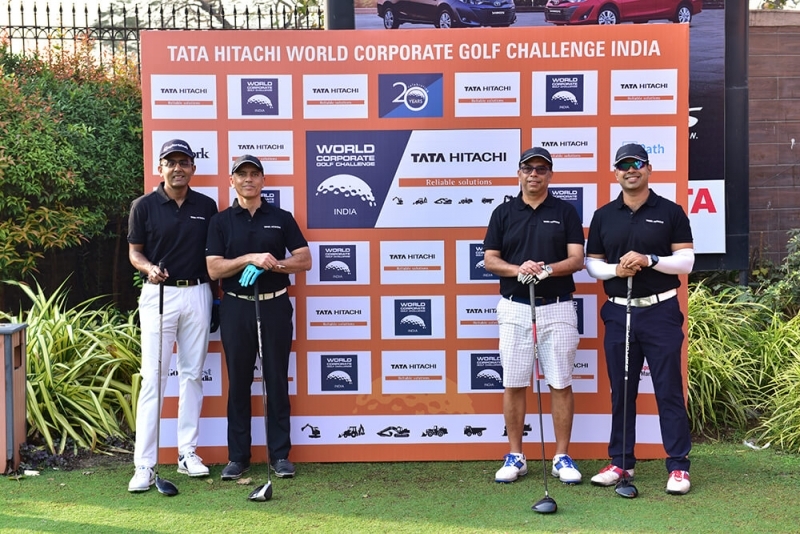 India’s longest-running corporate golf tournament rolled on with the Delhi qualifiers of the Tata Hitachi World Corporate Golf Challenge (WCGC) at ITC Classic Golf & Country Club on February 2. Former cricketer Murali Kartik was among those vying for top honours. Action then moved to Hyderabad Golf Association on February 16. Both cities saw more than 100 golfers tee off. 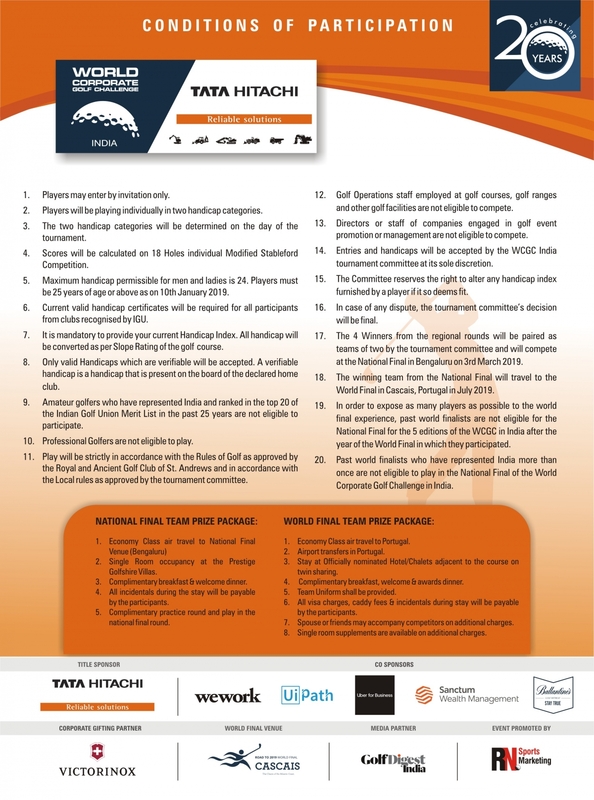 Prestige Golfshire in Bengaluru will be the host of the fourth and final qualifier on March 2. The National Final will take place at the same venue the following day. One winner and one runner-up on March 3 will punch his ticket to the World Final in Portugal (July 3-7). Since its inception more than two decades ago, the World Corporate Golf Challenge (WCGC) has gone on to become the biggest annual corporate golf tournament worldwide. Winners from each region compete in the World Final. Fun fact: UK’s leading newspaper, The Times, introduced WCGC as a platform for ‘bringing the world of business together’ in a friendly and relaxed atmosphere using golf as the means. 3/4th handicap will be added to Gross to reach Modified Stableford score.